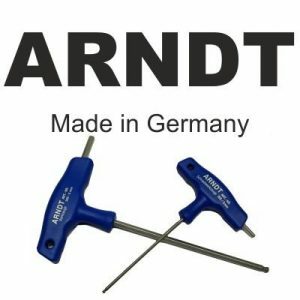 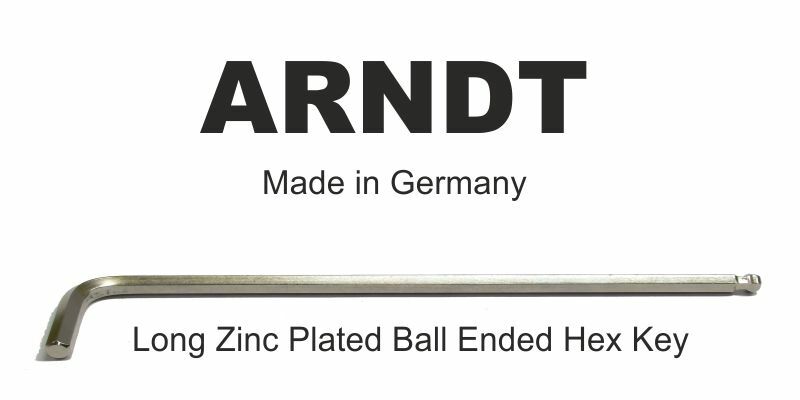 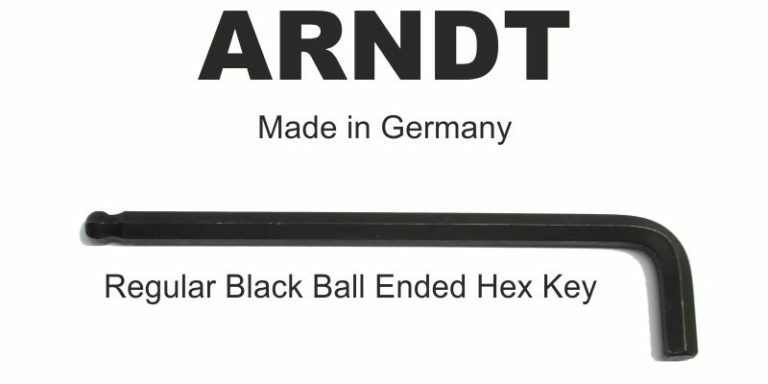 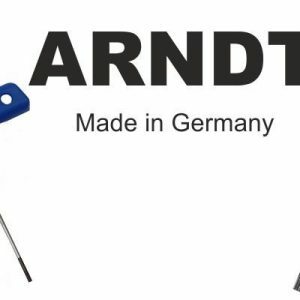 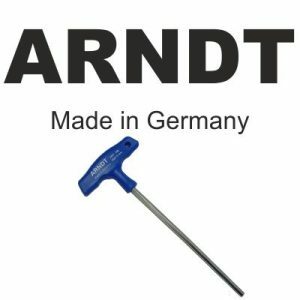 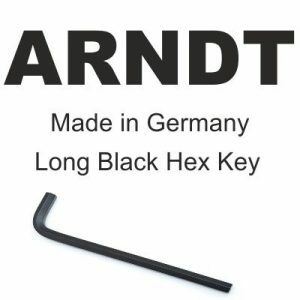 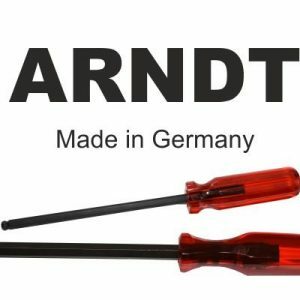 Arndt ball end allen key is made from tough Chromium-Vanadium Steel (Crv) for better durability. 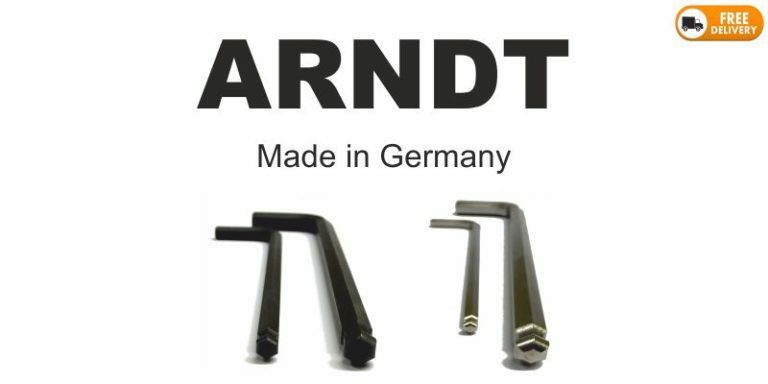 Available in 2 versions: Regular Black or Long Zinc plated. 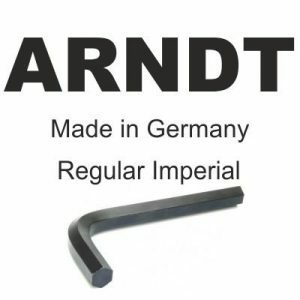 Chromium and Vanadium make the steel more rigid. 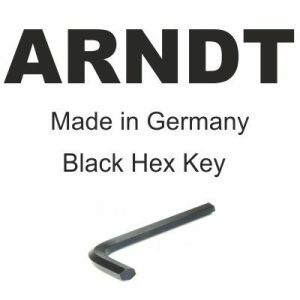 This steel is top of the range and is used by many top brands manufacturing hex keys. 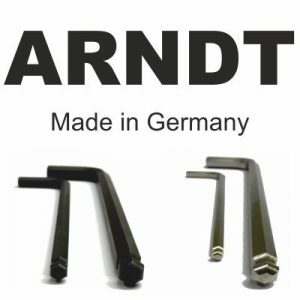 Products made from CrV steel are picked by professionals and workshops due to its features. You can find approximately dimensions in millimeter in Additional Information tab. 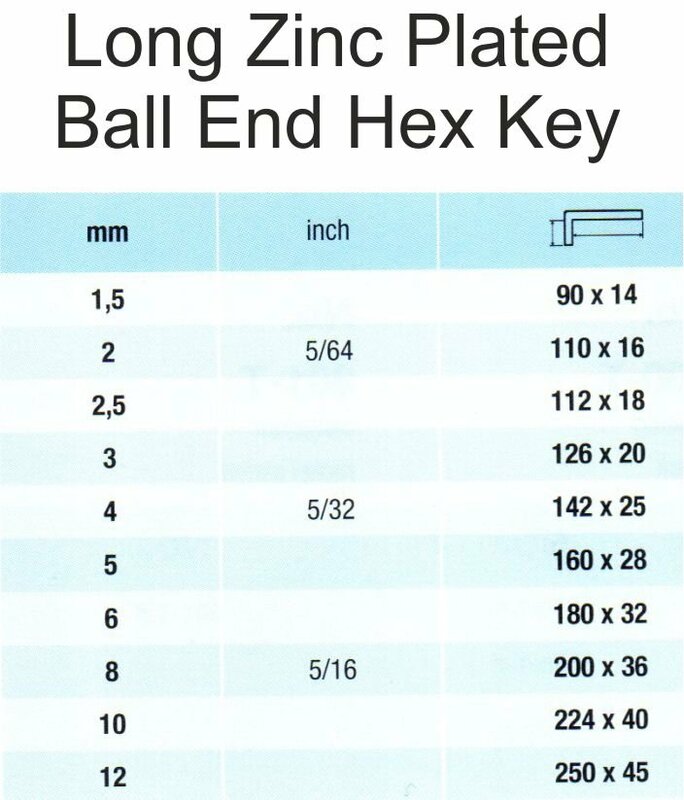 Please note, no engraving on keys up to 3 mm due to the tiny size.